Specifiers of accessible equipment are being offered a new opportunity to enhance their knowledge base, to keep up with technological developments. Closomat, manufacturer of Britain’s biggest-selling brand of wash & dry toilets and assistive bathroom fixtures, is launching a series of CPD sessions. The new programme can be delivered either at the recipients’ offices, Closomat’s own showroom in Manchester, or at its factory in Stoke on Trent. The training can be tailored to individual requirements, addressing everything from the broad design considerations in specifying an accessible bathroom or Changing Places assisted accessible facility, to elements such as considerations in choosing specific equipment- wash & dry toilets, hoists, washbasins. Further, the detail can be picked to cover everything from a general overview, to specification issues including legislative requirements, and best practice guidelines, and user evolution. 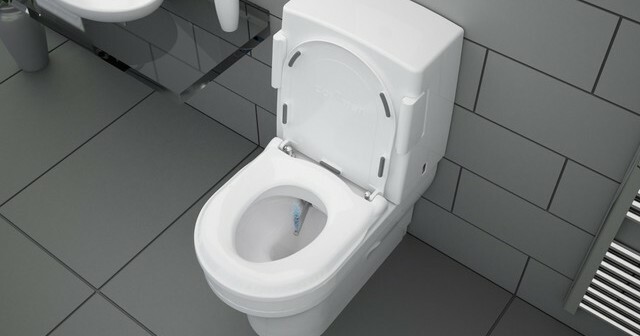 “Assistive bathroom and toilet technology has seen a raft of changes just in a few months,” explains Closomat sales director Mark Sadler. “There has also been a number of changes to legislation and guidelines. With ever growing pressures on their time, Occupational Therapists, grants officers, architects, find it impossible to keep up. We, by contrast, spend our working lives focussed on those issues, so have the expertise and knowledge. To take advantage of a Closomat training session, either email info@clos-o-mat.com, or telephone 0161 969 1199. Founded over 55 years ago, Closomat was the first provider of wash & dry (automatic bidet) toilets in the UK. Today, over 55000 Closomats have been installed in Britain alone, many of which are still in daily use 30 years since being fitted. Closomat is the only UK supplier of technology to aid independence and dignity in the bathroom to manufacture in the UK, and deliver, in house, nationwide sales, technical and service support. Next Article New service direct to the care industry!